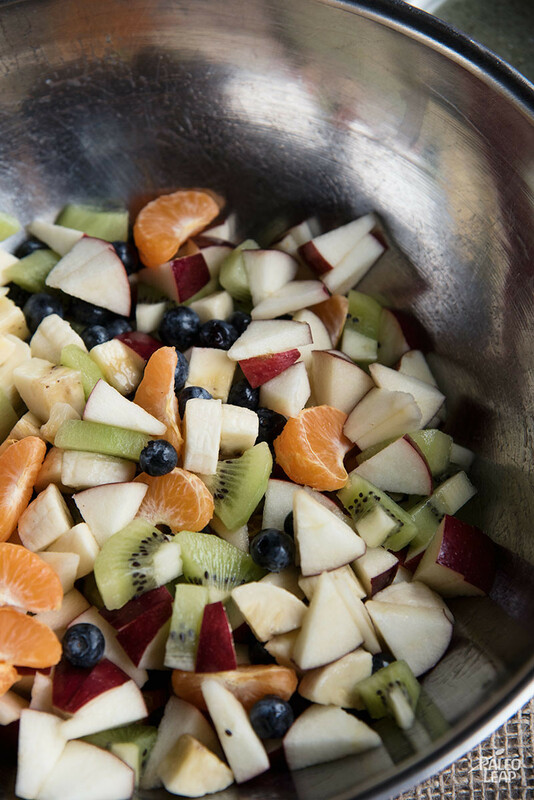 Fruit salad is a simple Paleo-friendly dessert or snack, especially for kids. This one is full of different colors and gives you a chance to play with some fruits that don’t normally take center stage, like kiwis. The lemon juice here stops the apples from going brown, and also adds a little extra citrusy flavor. The dressing in this recipe also uses avocado oil. It has a slight avocado flavor, which might not be your thing. If that’s the case, you can try substituting for a light olive oil. This salad is best served refrigerated, but that’s actually pretty convenient because it means you can make it ahead and then refrigerate until you’re ready to serve it. Try it as an after-school snack or an easy dessert that you can just pull out of the fridge when dinner is over and enjoy. SERVES: 4 PREP: 20 min. 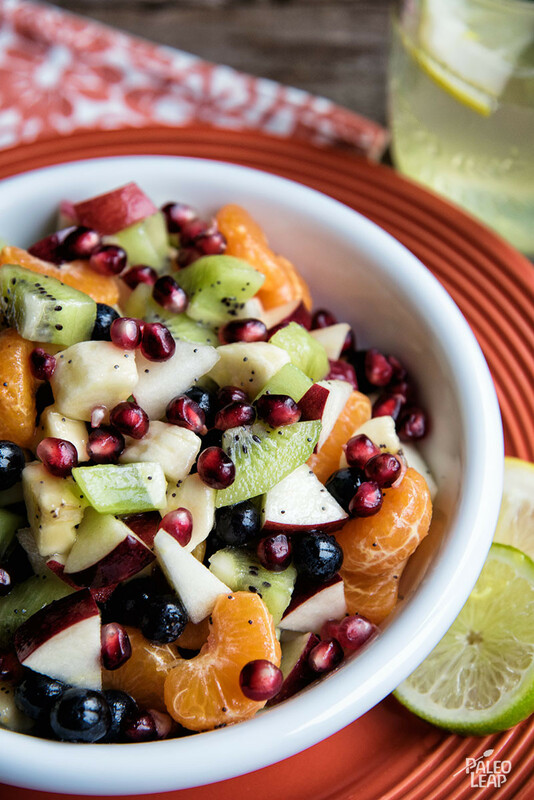 Toss all the fruits together in a large salad bowl. In another bowl, whisk the avocado oil, lemon juice, and poppy seeds until well emulsified. Drizzle the lemon dressing over the the fruit salad. Toss gently until everything is well coated.